This article was last updated Apr 05, 2018, but some terms and conditions may have changed or are no longer available. For the most accurate and up to date information please consult the terms and conditions found on the issuer website. Investing money in home renovation is always a smart decision. Either it increases the value of your home for resale or it allows you to feel more comfortable in the space you’re living in. Most homeowners don’t have enough money saved to cover the cost of major home remodeling, so they either take out a loan or avoid the improvements altogether. If you’re looking to start new work on your home, you may look into the financing options available at Home Depot and Lowes. Each store has multiple credit cards and loan products available, but how do the two compare? Which one is right for you? Let’s do some investigating to find out. Home Depot Consumer Credit Card: The Home Depot Consumer Credit Card has no annual fee and offers 0% interest on purchases of $299 or more for six months. After the first six months the rate reverts to your standard APR which will run from 17.99% – 26.99% variable. Interest will be charged to your account from the purchase date if the purchase balance (including premiums for optional credit insurance) is not paid in full within 12 months or if you make a late payment. This is called deferred interest, and it’s definitely something to be aware of. Home Depot Project Loan: The Home Depot Project Loan Card allows you to finance bigger purchases when you need to stretch out repayments over a longer period of time. This product extends your financing out for as long as 84 months, with a credit line that can be as high as $55,000 – depending upon your credit worthiness. The APR is fixed at a low interest rate of only 7.99%. There is no annual fee with this product, and you repay purchases in fixed monthly installments. Home Depot Commercial Revolving Charge Card: This is a charge card for business owners which means that you’ll need to pay your balance off in full. However, this card gives you a full 60 days to pay which can help you optimize your cash flow. Cardholders will also receive fuel discounts, the ability to add authorized users, and a host of other perks that make this card a convenient financing tool for your business. Since it’s a business card, you’ll also probably get access to a higher line of credit than you would with a personal credit card. Home Depot Commercial Credit Card: The Home Depot Commercial Account is also issued through Citi Bank and can serve as an easy way to keep all of your business charges organized. There is no annual fee and the account carries many of the same features that are on the revolving charge card. The big difference is that full payment for all charges is due each month as shown on your billing statement. Instead of using revolving credit to pay off your bills over time this is just a standard charge card. Lowe’s Consumer Credit Card: This card comes with different financing options. First, you could simply receive a 5% discount on your Lowe’s purchases which makes this card a great option for consumers who frequently shop at Lowe’s. If you’re in need of short term financing, you can also receive 6 months with 0% APR on purchases over $299. But you should be aware that with this deal, you will be charged deferred interest if you don’t pay your balance in full by the end of the 6 month period. Finally, if you need to stretch out more expensive projects over a long period of time, cardholders can get 84 months special financing with fixed monthly payments at only 5.99% APR. It’s important to note that these three offers are mutually exclusive, so you won’t be able to take advantage of the 5% discount and promotional financing on the same purchase. A great feature that the Lowe’s Consumer Credit Card offers is a consistent 5% discount off your everyday Lowe’s purchases. So if you regularly shop at Lowe’s, carrying this card in your wallet can help you score some major savings in the long run. But it’s important to note that the 5% discount cannot be used in conjunction with the promotion that allows you to pay no interest on balances paid off within 6 months. Lowes Business Rewards Card from American Express: For businesses who frequently shop at Lowe’s, the Lowe’s Business Rewards Card from American Express offers a decent rewards program with no annual fee. Cardholders get 1 point for every dollar spent on everything. You can start redeeming with just 2,500 points. You also earn double points for purchases at Lowe’s plus 5% off Lowe’s purchases. You also get discounted delivery fees when materials are brought to you by Lowe’s. Finally, you’ll earn triple points at office supply stores, restaurants, and wireless companies. Points don’t have expiration dates and as a welcome bonus, new cardholders get 5,000 points after spending $100 on the card in the first 30 days of card membership. You can redeem points for Lowe’s or Amex gift cards, gas rewards cards, and outdoor rewards cards that can be used at merchants including L.L. Bean and Cabela’s. You have the option of paying off your balance every month or you could carry a balance with an APR of 13.49%-18.49%. If you get additional cards for employees you control their line of credit, and when they use cards your account earns the rewards. If you want a rewards card tied to Lowe’s, then this is the best way to go because it offers double points for shopping at Lowe’s in addition to a 5% discount. But if you don’t spend a lot of money at Lowe’s you might come out ahead by choosing another cash back credit card. Now that you have a feel for financing options available at Home Depot and Lowe’s, you need to figure out which one – if either – is right for you. Both of them could potentially finance your next home improvement project, but there are individual perks to consider for each. First and foremost, you have to think about which one you could use in your area. If you only have a Lowe’s in your city, it would not make any sense to apply for a Home Depot loan and vice versa. If you have both stores in your town, you may be wondering which one offers the best prices, materials, advice, service, and support. This will vary by location. Since most consumers are already familiar with credit cards, the store-branded credit cards from each hardware store might be the first things that pique your interest. But is one better than the other? Let’s find out. Both cards come with no annual fee and the line of credit you get approved for will depend on your creditworthiness. For those looking to finance big purchases (like new appliances, for example), the consumer credit cards from both Lowe’s and Home Depot have some great options that allows you to pay no interest on purchases over $299 as long as your balance is fully paid off within 6 months. What makes this feature stand out over normal credit cards is that it is always available as long as you have the card; not just for an introductory period. However, it’s important to be aware that if you carry a balance past the 6 month period, interest will be charged on your balance from the purchasing date, known as deferred interest. Since the APRs are painfully high with 24.99% on the Lowe’s Card and 17.99%-26.99% on the Home Depot Card, it would be a very bad idea to carry a balance past the 6 month mark. Lowe’s Consumer Credit Card – 5% Discount: A great feature that the Lowe’s Consumer Credit Card offers is a consistent 5% discount off your everyday Lowe’s purchases. So if you regularly shop at Lowe’s, carrying this card in your wallet can help you score some major savings in the long run. But it’s important to note that the 5% discount cannot be used in conjunction with the promotion that allows you to pay no interest on balances paid off within 6 months. Home Depot Consumer Credit Card – Longer Interest-Free Periods: Unfortunately, the Home Depot Consumer Credit Card doesn’t come with a built-in discount feature. But it does give the chance to have interest free financing on some purchases for longer than 6 months. According to their website, Home Depot runs special promotions throughout the year that will give up to 24 months of interest-free financing on select purchases, as long as the balance is paid in full before the interest-free period is up. These special financing promotions can include broad categories like doors and windows, building materials, water treatment systems, and much more. Check out their website to find out what the current promotions are and how long they’ll last. In my opinion, you should avoid carrying a balance on your credit card when possible. Even if you wholeheartedly intend to pay your balance in full by the time the interest free period is up, your circumstances may change and you may end up paying much more than you originally planned. With that being said, I prefer the Lowe’s Consumer Credit Card, because it rewards customers by offering a 5% discount instead of enticing them to carry a balance with limited-time promotional financing options. Choosing between the Lowe’s Consumer Credit Card and the Home Depot Consumer Credit Card will depend on your individual situation, but both cards offer good financing options for loyal customers. If you’re looking for a drawn-out payment plan for a big home remodel project then either one of these options can give you up to 84 months of financing. At first glance, you may find the Lowe’s Consumer Credit Card to be a little more affordable than the Home Depot Project Loan because it has a 5.99% APR, while the Home Depot carries a 7.99% APR. Lowe’s does not explicitly state its maximum line of credit, but the minimum purchases requirement is $2,000. For the Home Depot Project Loan, your credit line can be up to $40,000 depending on your creditworthiness. Even though they might be the first financial products that come to mind, the credit cards and loans from Home Depot and Lowe’s might not be the best option when it comes to funding your home remodel. Not only will these products pigeon-hole you into purchasing all of your products at one store, but when you crunch the numbers, there are a handful of low-interest credit cards and rewards credit cards that have more favorable terms and could save you a lot of money. Citi Simplicity® Card - No Late Fees Ever: As an alternative to the Lowe’s or Home Depot credit cards, the Citi Simplicity® comes with no annual fee and currently offers an intro APR of 0%* for 12 months on Purchases* and 0%* for 21 months on Balance Transfers*. So this card would give you more time to pay off a large purchase from a home improvement store. The ongoing APR is 16.24% - 26.24%* (Variable), which is lower than what you’d pay if you carried a balance on a store credit card, such as the two listed above. The other huge benefit when using the Citi Simplicity® instead of a Home Depot or Lowe’s credit card is that you can shop at any retailer and still enjoy the 0% introductory offer. Discover it® Cash Back: If you’ve saved up enough money to pay for your home remodel outright, then putting your expenses on a rewards credit card can help you bring in a huge chunk of cash back. 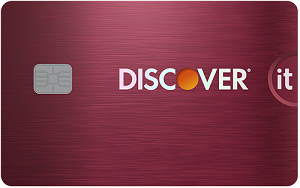 The Discover it® Cash Back card offers 5% cash back at different places each quarter like gas stations, grocery stores, restaurants, Amazon.com and more up to the quarterly maximum, each time you activate, 1% unlimited cash back on all other purchases - automatically. But right now, Discover will automatically match all the cash back you earn at the end of your first year.*. This incredible sign-up bonus will give you a chance to save a lot of money on your home improvements by earning cash back on all of the purchases you make along the way. To top it off, cardholders will also enjoy a low APR of 0% for 14 months, which is twice as long as the Home Depot and Lowe’s credit cards. Capital One® Quicksilver® Cash Rewards Credit Card: This is the perfect credit card for consumers who would like to earn cash back on their home improvement purchases AND enjoy the comfort of having a long intro period of interest-free financing. 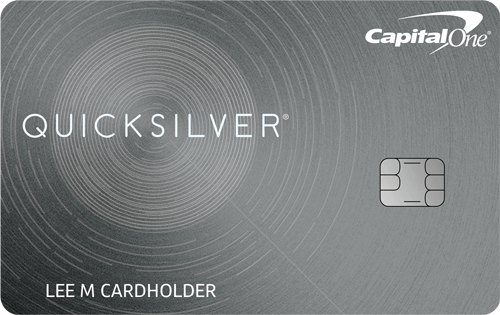 Capital One® Quicksilver® Cash Rewards Credit Card comes with an unlimited 1.5% Cash Back on every purchase, every day. You’ll also have an APR of 0% intro on purchases for 15 months and 0% intro on balance transfers for 15 months (16.24% - 26.24% (Variable) APR, after), which means that you won’t have to worry about paying the full price of your home remodel all at once. There is no annual fee with this card and no foreign transaction fee too. Second Mortgages: If you have been in your home for a long time, you may be able to take out a second mortgage loan. This is a loan that stacks on top of your existing mortgage loan. It is usually much smaller than the first loan, extending your overall debt to the value of the home or slightly more. The bank most likely will not loan out more than the total equity in the home. Second mortgages have long loan terms just like first mortgages, and they come with low-interest rates. You just have to decide if you have the credit and income to carry something like this. Home Improvement Loans: Many banks, like Wells Fargo and Chase offer home improvement loans made specifically for these kinds of projects. The loans are often unsecured and used for some type of home renovation. Some banks will require the house to act as collateral on the loan, in which case your home would need to be mortgage free. If you still have a lien on your house, you may want to see what your unsecured options are. Keep in mind that a home improvement loan may have a shorter term than a second mortgage. Make sure you check the payment amounts and payoff dates before making your decision. For homeowners, there are few things that are as rewarding as completing a home remodeling project. Whether big or small, home renovations are a wonderful investment because not only are you adding equity to your property, you also get to enjoy the new and improved living space! Funding a home improvement project can be tough, but Lowe’s and Home Depot each offer a store credit card that have some unique financing options. Choosing the best credit card will vary from person to person. While the Home Depot and Lowe’s financing options do have their strong points, you may be better off with a standard consumer credit card like the Citi Simplicity. *The content in this article is accurate at the publishing date and may be subject to changes per the card issuer.